With a Pastry Brush, brush Cauliflower with Olive Oil. Sprinkle with bon Salt and Black Pepper. Bake for 20-25 minutes flipping halfway through. 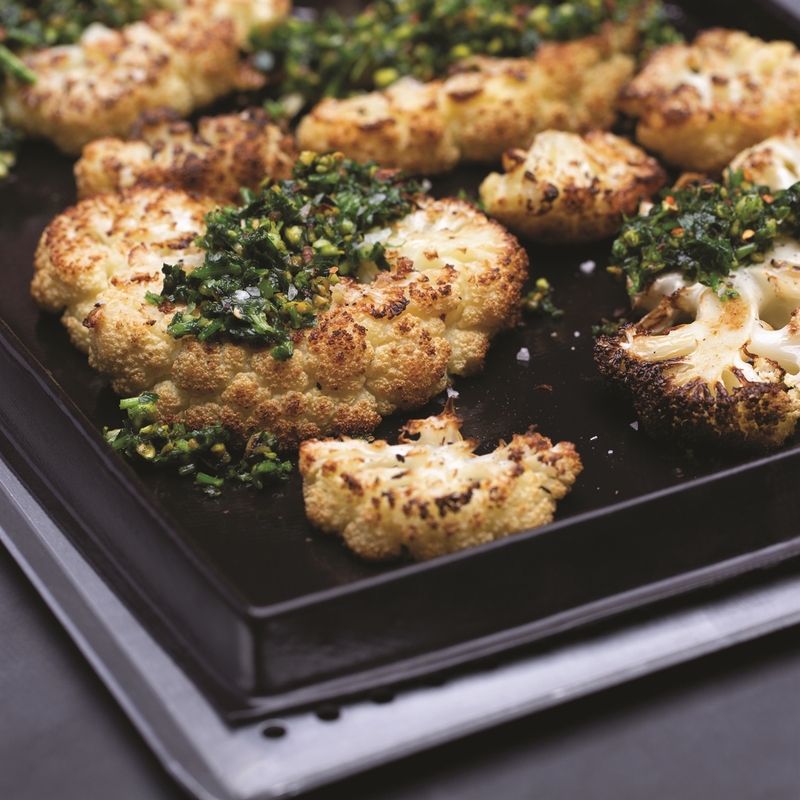 While Cauliflower is baking place Parsley, Pistachios, Garlic, Lemon Zest, Lemon Juice, Red Pepper Flakes and bon Salt in an Eco-Chop. Pull the cord 5-10 times until chopped and combined. Transfer Cauliflower to a serving dish and sprinkle the Pistachio Gremolata generously over the Cauliflower.